How would you treat someone you love? Typically, with family or very close friends we desire that which is best for them and that which makes them happy. God desires the same for each one of us, but we may be surprised at what God sees as the source of our happiness and what He deems to be best for us. Furthermore, though God’s love is perfect for every soul, it’s also accurate to say that God’s love deepens for those who draw close to Him. It’s not that His love changes, it’s that His love is received and encountered on a deeper level. When this happens, God is able to manifest His love in a profound way. And when God’s love is received by a soul on the deepest level, it’s often a love that calls that soul into suffering. If that surprises you just think about the Father’s perfect love for Jesus. 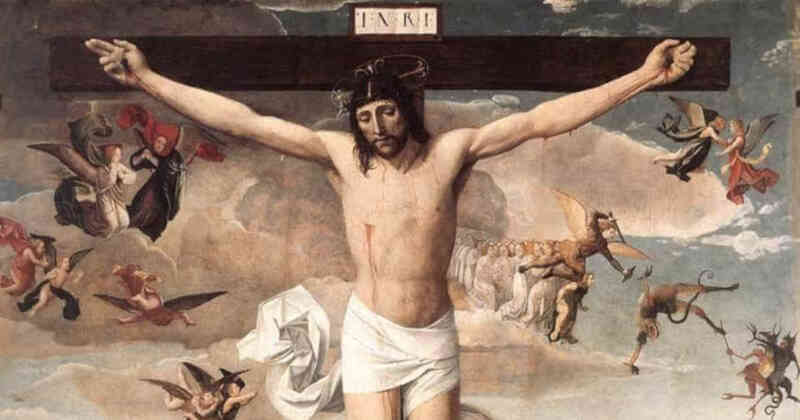 The Father, in His perfect love for the Son, called Him to the Cross. But in that Cross, Jesus’ human soul was able to manifest the love of the Father in the most profound way. This is a mystery hard to understand, so if it’s difficult to immediately grasp do not worry. Just know that God often allows great spiritual suffering in the lives of those who have been drawn into a deep intimacy with Him (See Diary #1253). Reflect upon the perfect love of the Father calling His Son to the Cross. Sit with that and seek to penetrate its meaning. If you can understand how the love of the Father could call the Son to this sacrifice, then you will begin to understand God’s perfect love for you as He calls you to a life of sacrifice. Do not think that God’s love will make your life “easy.” His love will make your life glorious, but most likely through suffering. Father, the mystery of the sufferings of Jesus, Your Son, is beyond my comprehension. Help me to understand Your mysterious Will more fully and to see that suffering in this life is often a sign of Your love. Keep my eyes on the Cross in all things, dear Lord. Jesus, I trust in You.